We want to tell you a story, a short one don’t worry. 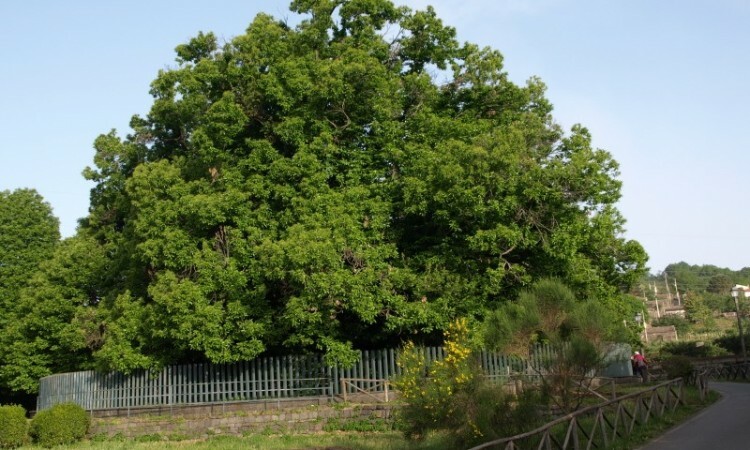 There is a tree that is considered the oldest and biggest in Europe. It’s located in Sicily, in Sant’Alfio, a lovely hamlet near the Eastern slope of the Mount Etna. Believed to be between 2.000 and 4.000 years old, the tree is known as the Hundred Horse Chestnut tree. Why? It is said that under its huge branches the Queen Joanna of Aragon and her company of one hundred knights found shelter during a severe thunderstorm.